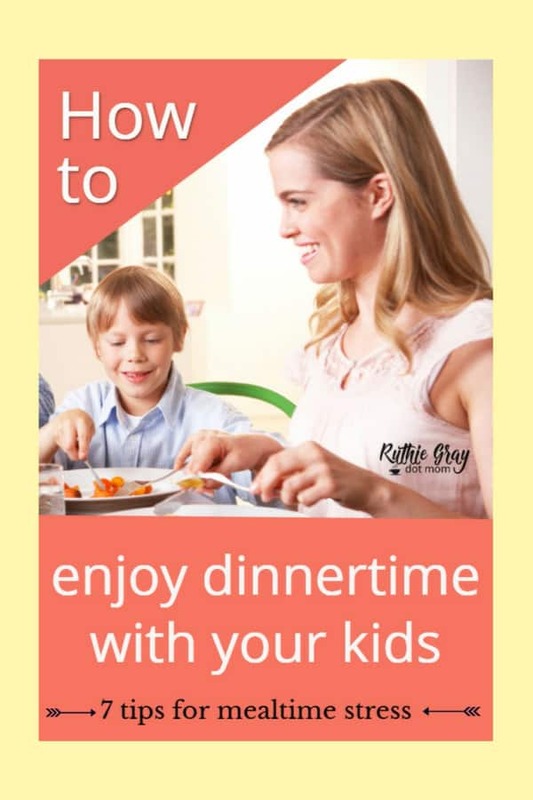 Do you enjoy dinnertime with your kids? Most moms (at least honest ones) admit they do not. In fact, just the question, “Hey mom! What’s for dinner?”, strikes dread in the heart, causing mom to break out in a cold sweat. It’s the daily question you can’t escape. 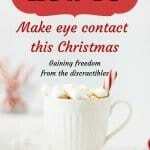 Even worse – you’ve come to dread the family table because it seems to end in disaster most nights. Spilled milk, fussy toddlers, and sibling squabbles make meal time an exhausting experience. I know because I was there once myself. Four kids at mealtime ain’t no joke, sista. Thankfully, over time, I developed a system that paid off. Mealtimes became more pleasant, the hype died down a bit, and we began to establish routines. Dinnertime actually became something I looked forward to, and so did my kids. Family meals became a celebration! 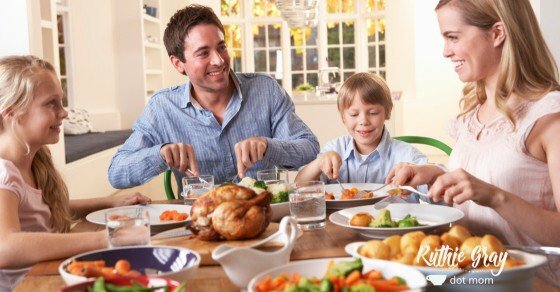 You can actually enjoy dinnertime with your kids! “We ate dinner together almost every night. We didn’t care if we were eating grilled cheese sandwiches and tomato soup, we were eating it together. 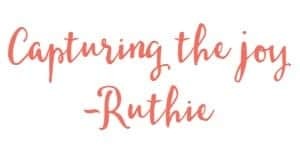 TV was not allowed to be on during mealtime because we were TALKING together as a family.” She wanted her kids to remember she was intentional in spending time with her family. My children are grown now, but when we’re together, dinnertime is still a celebrated affair. We often recall rich table memories full of laughter and fun. 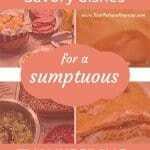 Their favorite dishes consisted of simple fare, because mama didn’t have time for froufrou. 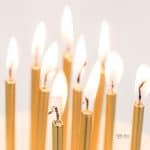 Do you know the favored request for birthday dinners? Meatloaf. Meatloaf! It’s easy, quick, and filling. Mom wins, kids win, everybody’s happy. I’m glad you asked. Here are seven quick tips I’ve learned by trial and error (and a few wise moms). If your kids are constantly snacking, they will not eat well. Limit snacking and hold your ground. My oldest didn’t eat for a span of three years (ages 1-4) and I finally figured out why – she was drinking all the time! A child’s stomach is smaller than an adult’s and they will literally fill up on drinks. This goes without saying, but honestly, we all need reminded, don’t we? I’ve been cooking for 30+ years and I still need to remember to plan once a week – BEFORE going to the store! Set aside a weekly time for planning. Like meatloaf. Mac n cheese. Rotisserie chicken. Make it easy on yourself to prepare with a toddler clinging to your legs! So your kid is in love with cheeseburgers and won’t eat anything else. Feed him cheeseburgers but introduce new ways to make them or healthier options, such as turkey burgers, chicken burgers, and other foods that look like burgers. This takes time and patience, but it will wear off if you stay consistent! This just makes you angrier and them frustrated. Place 3 types of food on the plate and ask them to eat a bite of each thing. A kid can handle one bite, and often she’ll eat more when tasting. Keep her seated until she’s taken the three bites. Kids get easily distracted and literally forget to eat. Keep bringing them back to the taste or color of the food and what they like about it. Consider reading a favorite story until they’re done. 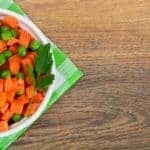 These are just a few ideas to help you enjoy dinnertime with your kids, but there is so much more to dinnertime that just eating. Dinnertime should be an experience to be savored. And that’s why I’ve created a plan you can tailor for your family! Tired of dreading the dinner hour? Turn mealtime into a celebration with this 6-day challenge and start enjoying dinner with your kids! You see, I have a solution for how to form simple dinner methods to work for your family. Plans to foster family ties and pave the way for rich dinner hour experiences for years to come! 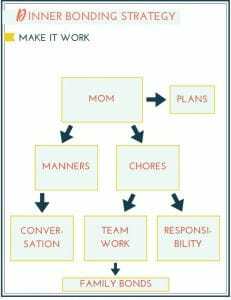 Systems to instill teamwork and family bonding. I lived this life. I hear your cries for help. And so, I’ve spent the past 3 months crafting a brand new, practical email series for you. 1. 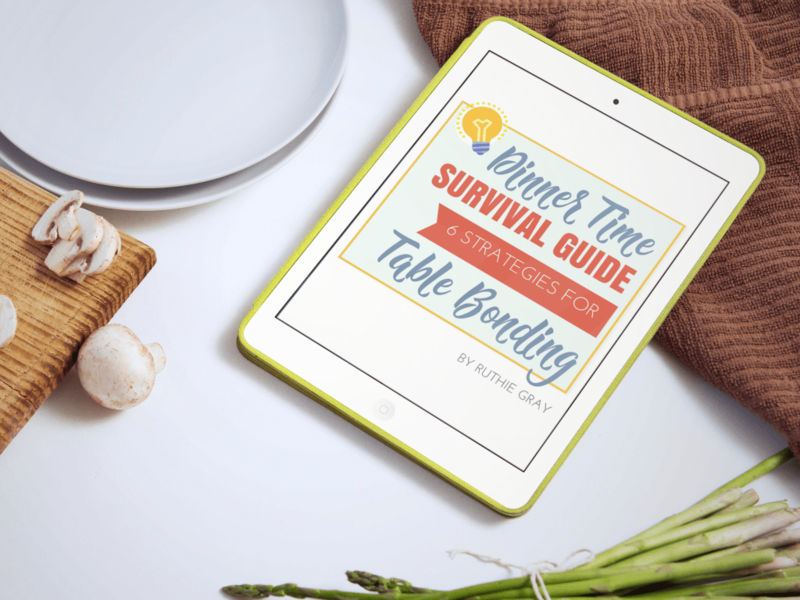 It’s a 6-day self-starter email challenge called the Dinner time Survival Guide; 6 Strategies for Table Bonding and you can join now! 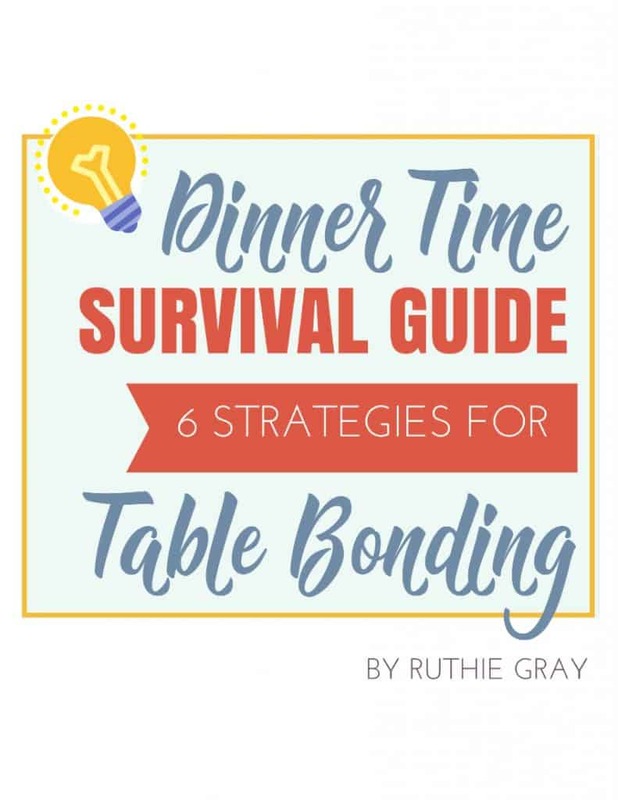 It’s fantastic, addresses all the problems moms of youngsters struggle with at dinnertime, and contains practical solutions and answers – things I did that worked with my four kids! 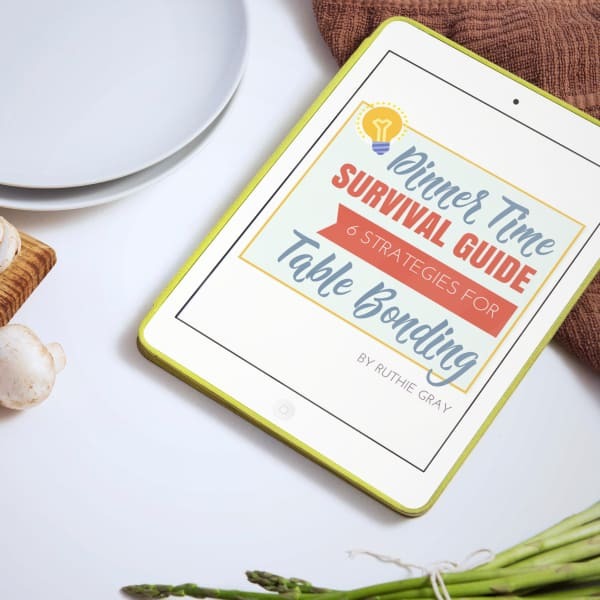 In as little as 15 minutes each day, you’ll seamlessly craft strategies tailored to fit your busy family and get back your dinner hour sanity! 1. 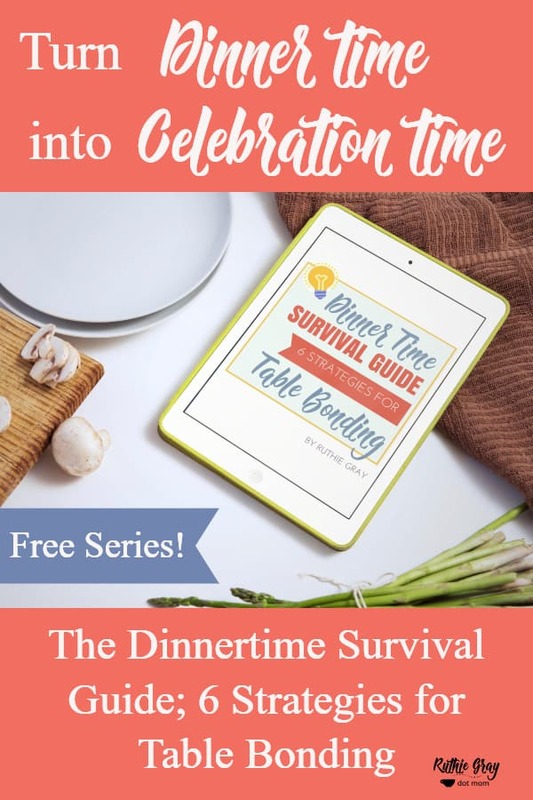 Click here to join my very own crafted-for-you Dinnertime Survival Guide 6-day Challenge with TONS of actionable tips! 2. Open your welcome email and check that it doesn’t go to spam (might want to white list that). 3. Within an hour, you will receive your first email! 4. Challenge runs for 6 days with one action per day, taking minutes to complete. 5. Share the challenge with your friends! Chat it up and click this link to share to Facebook!